It's a case of translation-books at the ready folks because heavy tech-rockers Deftones recently announced their follow-up album to 2010's "Diamond Eyes" - and the title happens to be in Japanese. "Koi No Yokan" is an expression used to describe a feeling experienced when two people meet and sense that they'll fall in love with each other. How this will translate into a hefty Deftones album is anyone's guess but, if it's anywhere half as good as "White Pony" or that last album, it'll be pretty special. 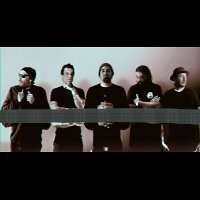 With bassist Chi Cheng still recovering from a near-fatal road accident in 2009, Deftones have been employing Quicksand bass-player Sergio Vega and "Koi No Yokan" will be the second album with his name on the cover. "Leathers" has already been doing the rounds on various blog-sites as the album's first single, itself due for release on 13th November. But even bigger news has filtered through this week - a UK tour. Forming part of a European jaunt, Deftones' British shows will begin in Glasgow on 15th February 2013, followed by Nottingham, Manchester, Birmingham and finally Brixton on the 20th. We will have tickets to all shows from 9am on Friday 26th October, priced at £26.50 for regionals and £28.50 for London.